SBI (State Bank of India) allows its customers holding savings bank accounts with the bank five free ATM transactions in a month. This includes financial as well as non-financial transactions in a calendar month. This was said by SBI on its website – sbi.co.in. After its merger with five of its associate banks along with Bharatiya Mahila Bank, SBI has a network of 24,017 branches and 59,263 ATMs across the country, according to its annual report of 2017. SBI ATMs support transactions made using all debit cards issued by the bank, besides State Bank credit cards, cards issued by other banks displaying Maestro, Master Card, Cirrus, VISA and VISA Electron logos, and debit/ credit cards issued by any bank outside the country displaying Maestro, Master Card, Cirrus, VISA and VISA Electron logos, according to the SBI website. SBI customers can withdraw up Rs. 40,000 in a day from the bank’s ATMs. This limit is specified for SBI’s classic debit card. Withdrawals up to Rs. 1 lakh per day can be made by using higher value cards by the bank, according to the SBI website. The SBI Classic Debit Card can be used to purchase goods at merchant establishments, for making payment online and withdraw cash within the country. Using the State Bank Classic Debit Card, a customer can make cash withdrawals up to Rs. 40,000 in a day from ATM. On transactions at point of sales (PoS) or through e-commerce, a daily limit of Rs. 50,000 is applicable, according to the SBI website. The SBI Silver International Debit Card can be used to make payment online and withdraw cash within the country as well as abroad. Within India, an SBI Silver International Debit Card allows cash withdrawals up to Rs. 40,000 – the same as State Bank Classic Debit Card. Outside the country, the cash withdrawal limit “varies from country to country, subject to a maximum of $1,000 or equivalent thereof”, according to the SBI website. 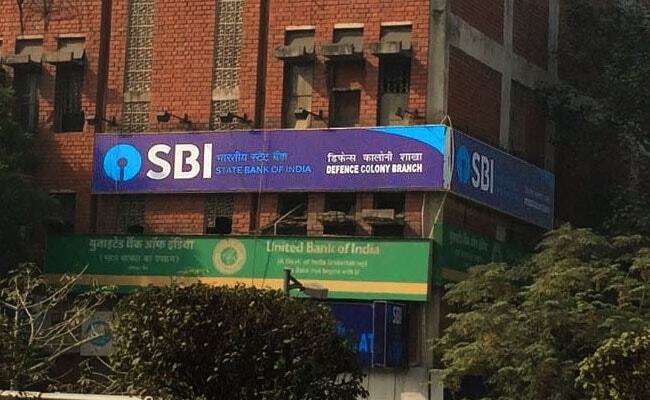 Within the country, SBI allows PoS/online transactions up to Rs. 75,000 per day using the SBI Silver International Debit Card. Using the SBI Global International Debit Card, a customer can withdraw Rs. 500-Rs. 40,000 in cash in a day within the country. Outside India, the minimum and maximum cash limits vary from ATM to ATM and from country to country “subject to a maximum of foreign currency equivalent of Rs. 40,000″, according to the SBI website. Using this card, a customer can make Point of Sales/Online Transactions of up to Rs. 75,000 per day within the country. Outside India, the limit varies from country to country, subject to a maximum of foreign currency equivalent of Rs. 75,000, according to SBI. SBI allows daily cash transactions up to Rs. 50,000 at ATMs within the country through its Gold International Debit Card. Outside India, the limits vary from ATM to ATM and “from country to country, subject to a maximum of foreign currency equivalent of Rs. 50,000″, according to the SBI website. Point of sales (PoS)/online transactions up to Rs. 2,00,000 per day can be made using the SBI Gold International Debit Card “subject to a maximum of foreign currency equivalent of Rs. 2,00,000″. SBI allows daily cash withdrawals of up to Rs. 1,00,000 from its ATMs using its Platinum International Debit Card. While this limit is applicable to transactions made within the country, outside India, the minimum and maximum limits vary from ATM to ATM and “from country to country, subject to a maximum of foreign currency equivalent of Rs. 1,00,000″, according to the SBI website. Using the SBI Platinum International Debit Card, the customers can make transactions up to Rs. 2,00,000 per day within the country. Outside India, the limits apply as per local regulations and vary “from country to country, subject to a maximum of foreign currency equivalent of Rs. 2,00,000″, it mentions.